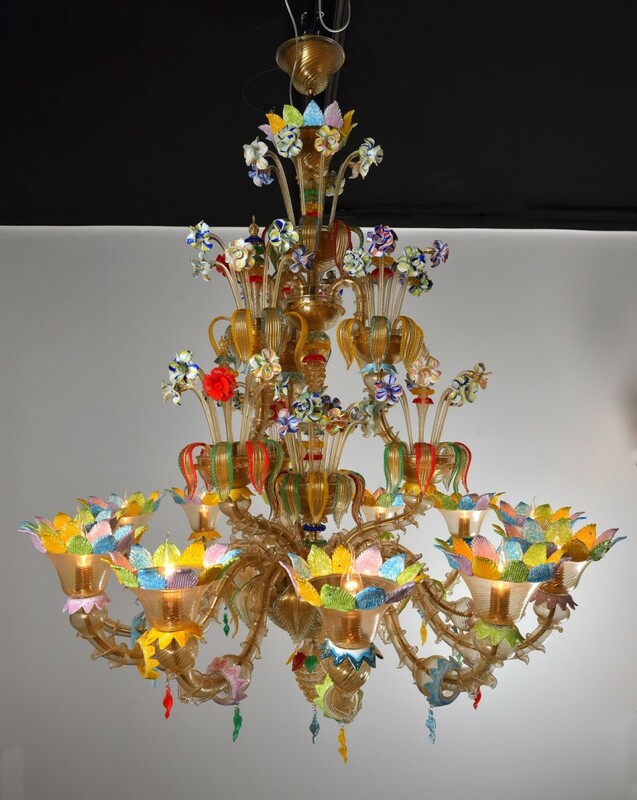 The model AURORA is a glass venetian chandelier with classic decorations made of white and gold. Elegant decorations with coloured glass dating back to the style of the 1960s. An unique object we suggest to all those who want to give their roooms an excellent light. If you want more information about the price of our beautiful handmade artistic works item you can click below for an email request.